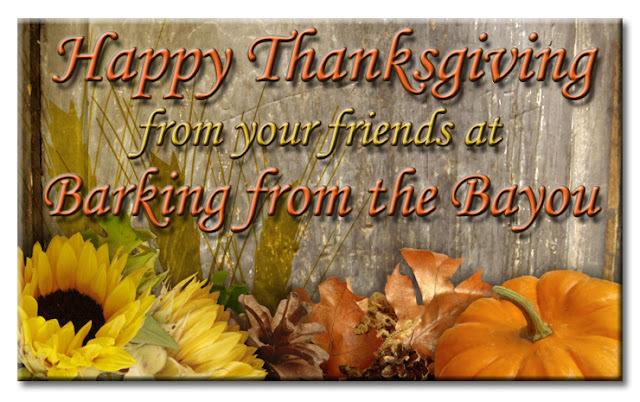 Happy Thanksgiving to you and your family, Bentley and Pierre! We just love your blog! Happy Thanksgiving, boys. We are thankful here too, but with the big cloud of sadness right now. Hope you get some good foods today. Happy Thanksgiving! We love you all! We hope your Thanksgiving has been purrfect! Hope you had a wonderful Thanksgiving with the Bayou boys and your beautiful granddaughters! Happy Thanksgiving dear friend and may your season be a happy one.